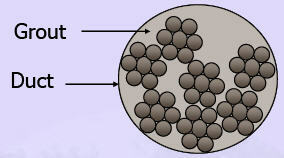 Pre-stressing raises both the quality and the resistance to tension and compression characteristics of the steel; the technique actually manages to create a state of co-action in which the tensions and deformations are opposed to those induced by the loads which will subsequently act upon the structure. It also raises the resistance to tension of reinforced concrete which is, in fact, negligible. 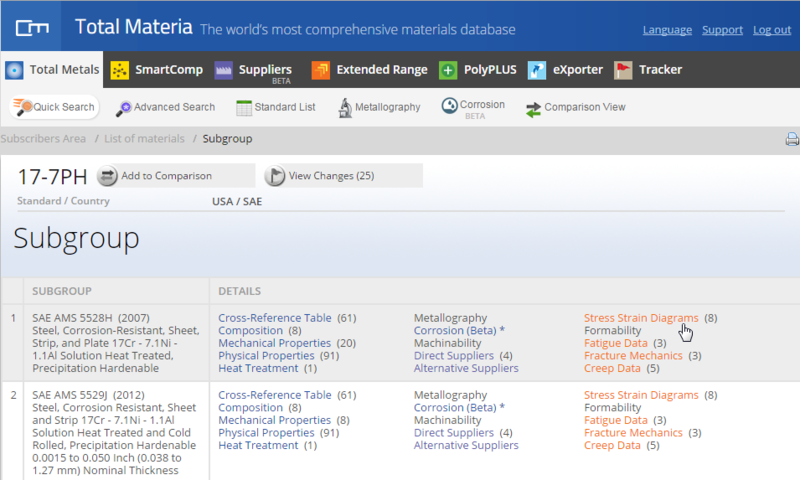 Although seemingly recent, pre-stressed steel is a material whose origins date back a long way. The adoption of the technique of pre-stressing is attributed to Paxton, who in 1851 utilized this technique for the realization of the Crystal Palace, unaware of the great discovery he had made. Koenen was the first to propose pre-stressing steel bars. He suggested doing this in 1907, before applying concrete, in order to avoid the formation of cracks and thus stumbled across the innovation of reinforced concrete (R.C.). Unfortunately however, his attempts failed because at that time the phenomena of fluage and shrinkage were unknown. In fact, the real “father” of pre-stressing is Eugène Freyssinet, who in 1928 defined pre-stressing as a technique which consists in subjecting a material, in his case reinforced concrete, to loads which produce stresses opposed to those in operation, through the use of cables which have first been laid in the stressed mass. The reasons which gave rise to this material may be found in the mechanical characteristics of concrete which, in fact, shows great ability to absorb forces of compression but a low resistance to tension which is allowed to be absorbed by the metallic reinforcement. The latter, however, under the effect of tension tends to lengthen and, on account of the phenomenon of bonding, pulls the concrete along with it. Consequently, if the stresses of tension are high, the concrete will crack. The cracks do not destabilize the structure but could lead to possible further deformation and expose the reinforcement to the danger of oxidization which in turn produces a reduction of its own resistance. It can be deducted that R.C. can tolerate loads up until the cracking limit. Unlike R.C., steel is a material which has high resistance both to tension and to compression. As a consequence, by making a comparison between pre-stressed steel and reinforced concrete, we can immediately note that in the first place, this technique further raises both the quality and the resistance to tension and compression characteristics of the steel; the technique actually manages to create a state of co-action in which the tensions and deformations are opposed to those induced by the loads which will subsequently act upon the structure. In the second place it raises the resistance to tension of reinforced concrete which is, in fact, negligible. The development of pre-stressed concrete was influenced by the invention of high strength steel. 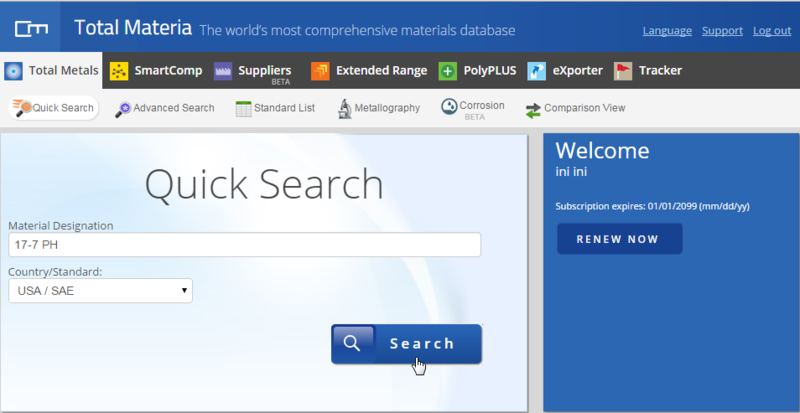 It is an alloy of iron, carbon, manganese and optional materials. In addition to pre-stressing steel, conventional non-pre-stressed reinforcement is used for flexural capacity (optional), shear capacity, temperature and shrinkage requirements. 1) Plain wire: No indentations on the surface. 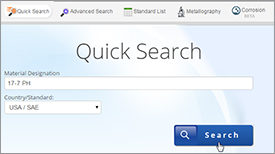 2) Indented wire: There are circular or elliptical indentations on the surface. 1) Two-wire strand: Two wires are spun together to form the strand. 2) Three-wire strand: Three wires are spun together to form the strand. 3) Seven-wire strand: In this type of strand, six wires are spun around a central wire. The central wire is larger than the other wires. Tendons. A group of strands or wires are placed together to form a pre-stressing tendon. The tendons are used in post-tensioned members. The following figure shows the cross section of a typical tendon. The strands are placed in a duct which may be filled with grout after the post-tensioning operation is completed (Figure 1). Cables. A group of tendons form a pre-stressing cable. The cables are used in bridges. Bars. A tendon can be made up of a single steel bar. The diameter of a bar is much larger than that of a wire. 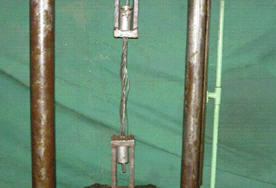 Bars are available in the following sizes: 10, 12, 16, 20, 22, 25, 28 and 32 mm. 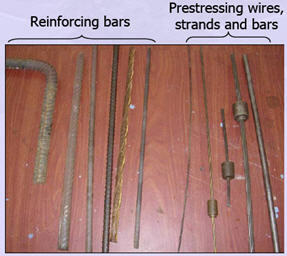 Figure 2 shows the different forms of pre-stressing steel. Cold working (cold drawing) is being done by rolling the bars through a series of dyes. It re-aligns the crystals and increases the strength. Stress relieving is being done by heating the strand to about 350°C and cooling slowly. This reduces the plastic deformation of the steel after the onset of yielding. Strain tempering for low relaxation is being done by heating the strand to about 350°C while it is under tension. This also improves the stress-strain behavior of the steel by reducing the plastic deformation after the onset of yielding. In addition, the relaxation is reduced. The tensile strength of pre-stressing steel is given in terms of the characteristic tensile strength (fpk). 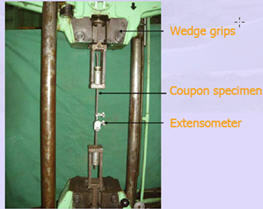 The characteristic strength is defined as the ultimate tensile strength of the coupon specimens below which not more than 5% of the test results are expected to fall. The minimum tensile strengths for different types of wires as specified by the standard codes are given. Table 1: Cold Drawn Stress-Relieved Wires (IS: 1785 Part 1). 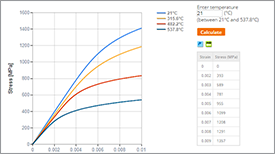 The proof stress should not be less than 85% of the specified tensile strength. Table2: As-Drawn wire (IS: 1785 Part 2). The proof stress should not be less than 75% of the specified tensile strength. 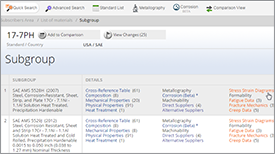 Table 3: Indented wire (IS: 6003). 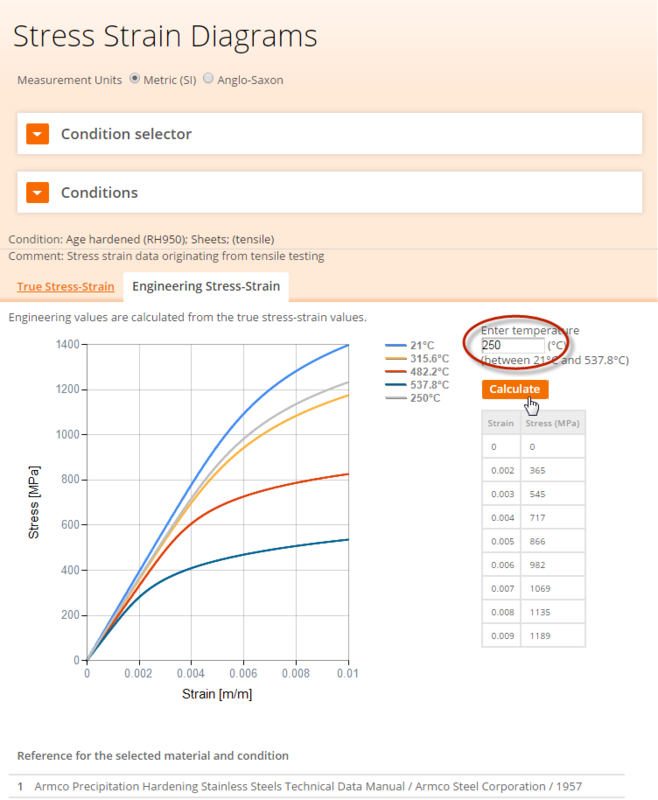 The proof stress should not be less than 85% of the specified tensile strength. The minimum tensile strength of high tensile steel bars according to IS:2090 is 980 N/mm2. 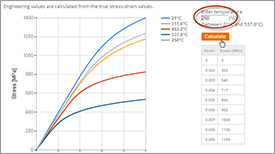 The proof stress should not be less than 80% of the specified tensile strength. 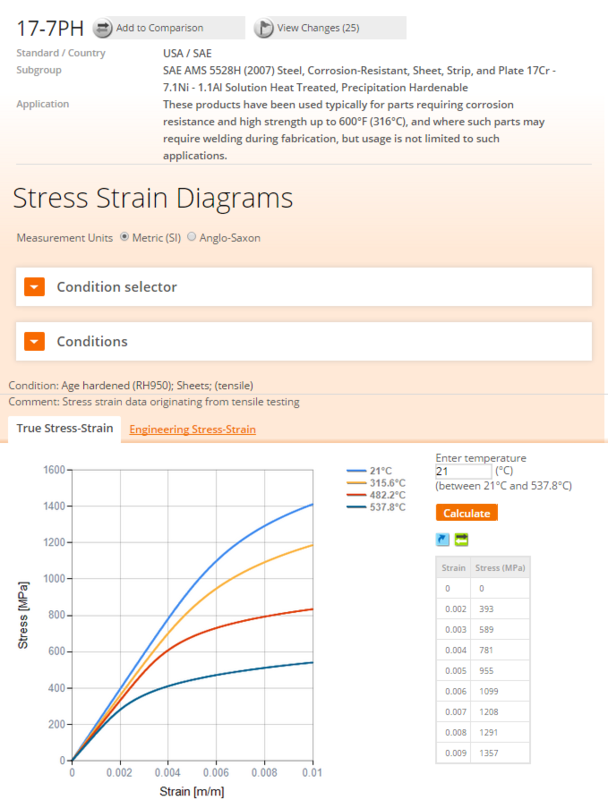 The stiffness of pre-stressing steel is given by the initial modulus of elasticity. The modulus of elasticity depends on the form of pre-stressing steel (wires or strands or bars). IS:1343 - 1980 provides the following guidelines which can be used in absence of test data.